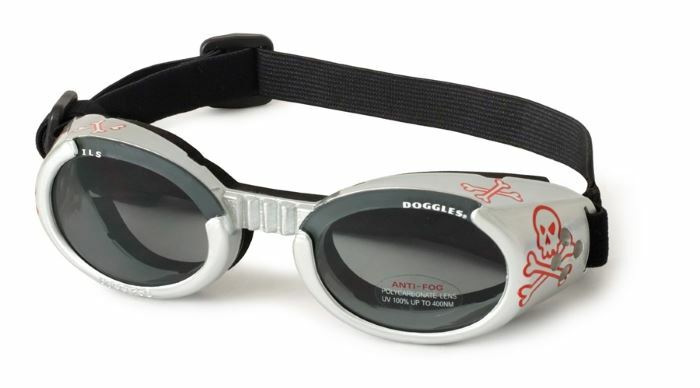 These sharp looking Silver Dog Goggles With Skull Emblem eyewear by Doggles are just the thing to make a huge fashion statement. They 100 percent UV protection from harsh sun rays and provide great all around eye protection for your dog. The Silver Dog Goggles With Skull Emblem features a flexible frame, adjustable straps, and wide nose bridge - perfect for your dog.